More on the Ergotron 6 Outlet Power Strip with Office Grade Plug 97-711 below. 6 electrical outlets on a 15 amp circuit. Included brackets, velcro kit and mounting hardware for easy, secure attachment to Ergotron carts. 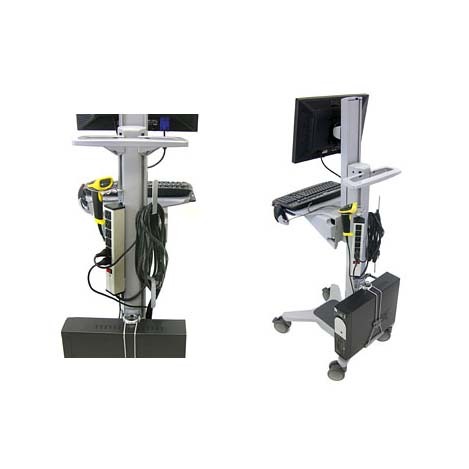 PLEASE NOTE: This product can be attached to t-slot channels on Ergotron carts using the included brackets OR mounted to the underside of the work surface on the Neo-Flex Mobile Workspace. It is not designed for use in healthcare applications and offers NO surge protection.